Blogging is one of the professional hobbies that are growing with time in different parts of the world. Most of the people who are in to this field often monetize their blog with one or the other ad networks. AdSense is one of the best ad networks that provide decent money to the bloggers. Most of the bloggers around the world recommend using AdSense as a monetization option. But getting an account on AdSense is a bit difficult task to many new bloggers. In such a situation, infolinks is the best option or a best alternative to Google’s AdSense. Not only that, even AdSense lacks the ability to provide InText ads. If you wish to monetize your blog with InText ads then Infolinks can serve as the ideal solution. Yes, Infolinks is the best InText ad network! This post is a review about this wonderful alternative to AdSense. Thank you for your relentless support to this blog and my contributions in particular. To be very honest, Infolinks is one of the preeminent alternatives to Google Adsense & doesn’t have strict policies like Google Adsense. It is quite easier to get your Infolinks account approved. It works nicely to benefit the publishers by bringing new ideas and techniques to increase the revenue. Moreover, it has an affiliate program that provides additional income source to the blog owner. Infolinks doesn’t require any space on your blog post to display the advertisement. It converts the keywords in your blog post to a link. Whenever visitors hover over the link, an ad is displayed and you can make money through it. Infolinks is a CPM and CPC based ad network that offers in-text, in-tag, in-fold, and in-frame ad types. Publishers are allowed to control the type of ads that are displayed on the blog/website. It provides you more control and power as compared to world’s best ad network – Google Adsense. You can even monetize your blog/website with all ad types once your website gets approved with Infolinks. This is a new product launched by Infolinks which will change the way people advertise. Here you can advertise globally starting from just $25. All you have to do is, just sign up for the AdShop using this link free and get into the amazing world of ads. Now you can credit your account with some amount and start with the campaign. Head over to create the campaign and enter the required details. The best thing is they also suggest the bid price for all the countries you are targeting to make it easy for you. Where you can find the CPC less than this. So if you are trying to start with the campaign, do try AdShop by Infolinks for better result at less cost. Infolinks provides user with the best possible ways to monetize their blog. Here are the different ad types through which one can monetize his/her blog with Infolinks. InText ads appear inside your blog post over certain keywords/phrases. Infolinks uses a good algorithm to scan your blog post and then highlights the major keywords and phrases. These are the high converting ads offered by Infolinks. You can take complete control of color, font, and volume of the InText adds. Whenever a user hovers over the highlighted content, an ad is displayed. InTag ads recognize the most important keywords relevant to your blog content and these keywords are then displayed as attractive tag cloud. If it is not able to find the related keywords to your content, then the closely related keywords will be displayed in tag cloud. You are even allowed to create a custom tag cloud and can also customize the place of appearance of the InTag ads. InFrame ads are the big banner ads that can be shown on blog sidebars. These ads do not interfere with your basic blog design. These ads are advisable to be displayed if your visitors make use of high resolution screen size. InFold ads are shown only to the people who visits your website through search engines like Yahoo, Bing, Google etc. These ads are based on the keywords which user searches on search engine. These ads appear at the bottom of your blog page and have high conversion ratio. These ads further reduce your bounce rate and improve the blog’s SEO by providing user with an option to hit back button on the browser. InScreen Ads are the new ads released by Infolinks for benefit of user. These ads are visually gripping and are activated automatically as soon as the user enters your blog. The ads are displayed indie the blog post. 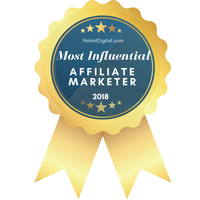 One of the best advantages of working with Infolinks Ad Network is that you get affiliate commission when someone joins Infolinks through your referral. Whatever amount the person will make in 12 months of joining, you will get 10 percent of it. Each Infolinks publisher has his/her own referral tab. He/she can find a unique referral URL from there. Any user signing through the referral URL of a publisher will fetch the publisher with 10 percent commission of his/her 12 months earning. It is easier to get approved with Infolinks as compared to few other ad networks. It doesn’t require ad spaces inside the blog post. It doesn’t affect the load times of the webpage. Flexible payment options are available with Infolinks. It is highly compatible with top ad networks like Google AdSense etc. Infolinks is one of the best InText ad networks that exist over the internet. With Infolinks, you can assure yourself with better monetization tips and good revenue. Infolinks tries to maximize publisher revenue with its different ad types and suggestions. You can earn extra by joining Infolinks referral program without the need of signing up. If you haven’t tried Infolinks yet, then this is the right time to do so. The only problem with the infolinks that i have faced is very low pay per click rate. Although it was a very good post, enjoyed reading it. I fully agree with you, but, still many are using this as an alternative to Google AdSense. Though there are few drawbacks it is widely used by bloggers. Thanks for your valuable presence and your wonderful feedback. Thank you so much for the visit and share about your experiences. I agree with you, yes, but it is no doubt a wonderful alternative to many of the other ad networks. Thanks again for your value added comment. Very good tutorial about Infolinks. But it’s my bad luck that it doesn’t support HINDI language so get rejected by it for my HINDI BLOG. Prakash Kumar Nirala recently posted…Blogger Blog में एक पेज में सभी पोस्ट कैसे दिखाएँ? Nice to see you here again on my blog. Thanks for the continued support to this blog. Yes, Infolinks do not accept other language sites. no worries its no doubt the best bet. Thank you for this honest and genuine review of infolinks. I was already thinking to give it a try but now I will definitely go for Infolinks. Good to see you on my blog. Nice to know that you are going to give a try. Yes, infolinks are the best alternatives to many of the other ad sites. Join in and share your experiences thru these column. Thank you so much for your visit and feedback. Good to know that you are going to give a try. with the review, good to know that you like it/. Pl try and let us know the results through these column.